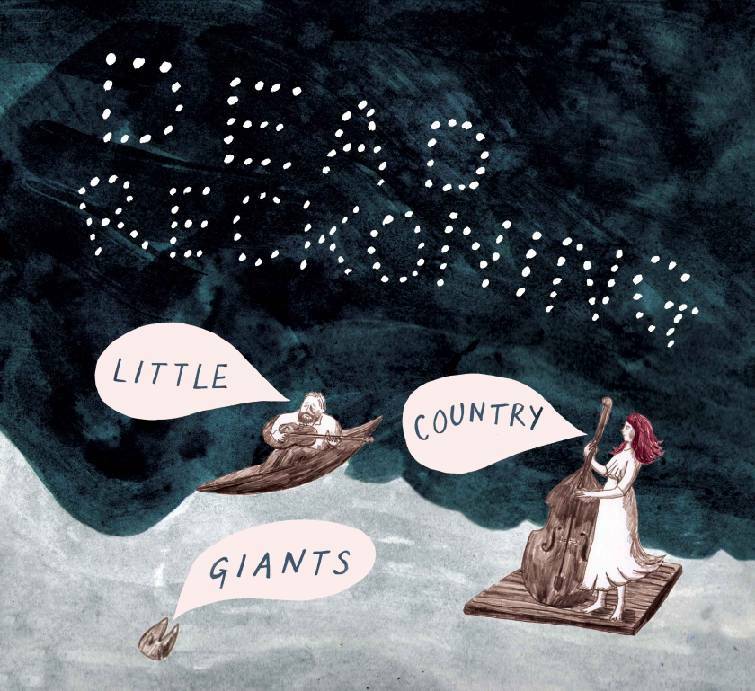 Copies of Little Country Giants' new album, "Dead Reckoning," will be available for $15 during their show tonight at Barking Legs Theater, 1307 Dodds Ave. The 13-track album is the fifth from the North Georgia roots/folk artist. › What: Little Country Giants CD release; Webb Barringer opens. › When: 8 p.m. today, Feb. 25. There's something fitting about a band like Little Country Giants recording music in a farmhouse built at a time when Abraham Lincoln was still just a lanky upstart Illinois politician with grand ambitions. 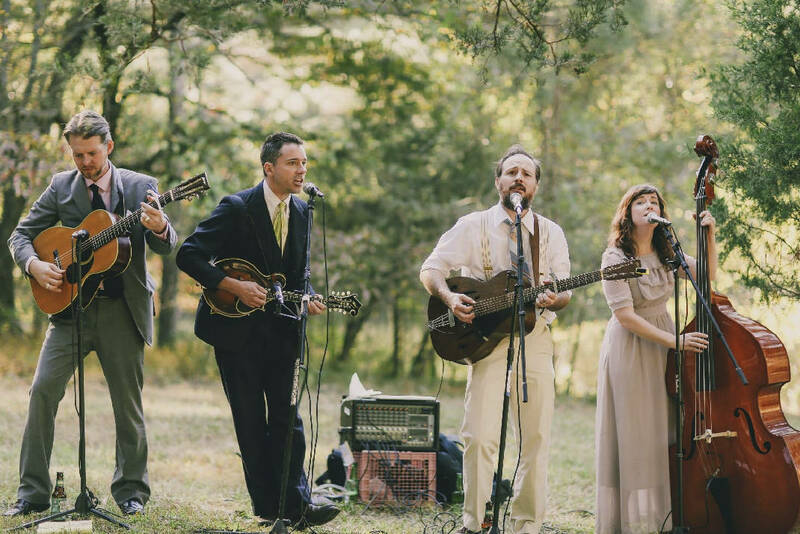 Formed more than a decade ago by husband and wife Russell Cook and Cameron Federal, Little Country Giants plays music that sounds at turns sepia-toned and timeless — new songs with old bones. The North Georgia roots-folk ensemble's repertoire is a circuit ride through a variety of Southern styles, from dust-coated blues and board-stomping honky-tonk to Appalachian ballads fit to tear a heart in two. At its core, however, are its co-founders' haunting vocal harmonies, which Flagpole Magazine describe as being echoes "of another era." Where better to record music like that, Federal asks, than in the 180-year-old home she and Cook share outside the so-sleepy-it-might-be-dead Georgia hamlet of Oakman? "Russell's dad bought this place about eight years ago as a project," she says. "He was just working to restore it as a family vacation place and was asking around for people to stay here to keep up with the property, so we volunteered. "This house does have such a great feel to it. It's like a warm, welcoming, calm feel, a different feel than you would get in most studios." When the time came to lay down tracks for the band's fifth album, "Dead Reckoning," Federal and Cook teamed up once again with Dax Rossetti, the London-based producer of their first album, and allowed an Atlanta-based engineer to transform their home into a sprawling studio. "The kitchen/den area was the green room, so to speak, and all the rest of the house was used as a vocal room, a drum room, an instrument room and stuff like that," Federal says. "He had it all wired up that way. It was just kind of relaxing and laid-back and comfortable." For three days last winter, Federal and Cook embarked on a three-day recording blitz that produced songs Rossetti worked on after returning to the U.K. The finished album was first made available to the backers of a Kickstarter campaign that funded its creation, but Little Country Giants are sending the new project out to the public, at large, via a CD release show tonight, Feb. 25, at Barking Legs Theater. Of the five albums they've produced, Federal says, "Dead Reckoning" could be Little Country Giants' finest. At the least, she says, it's the most-accurate reflection of the freedom they now feel to test new musical waters. "We're really happy with it," she says. "I think it's probably my favorite one we've done. I feel like we're maybe more open-minded as musicians now. "When I was first starting to play, I felt like maybe you had to choose a genre to belong in, and I don't really feel that way anymore. I feel like each song gets to be the song that it is, whatever genre that may be, and I'm OK with that." Contact Casey Phillips at cphillips@timesfreepress.com or 423-757-6205. Follow him on Twitter @PhillipsCTFP.